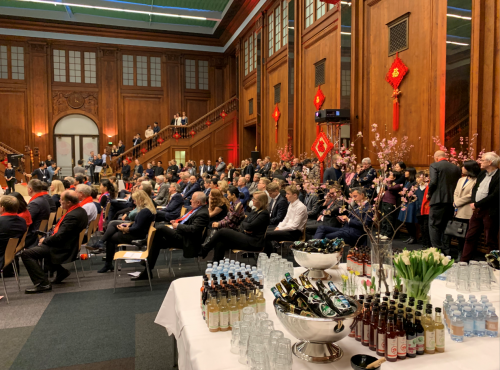 On 18th of January, the first “Happy Chinese New Year 2019” series event – “Light Switching Ceremony at Confederation of Danish Industry” was held by China Cultural Center in Copenhagen and Confederation of Danish Industry in DI building. 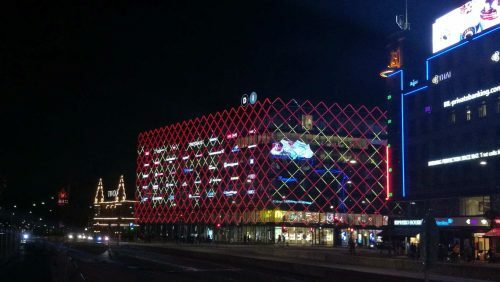 The Façade was lighted up in Chinese red with Chinese characters – Happy Chinese New Year. 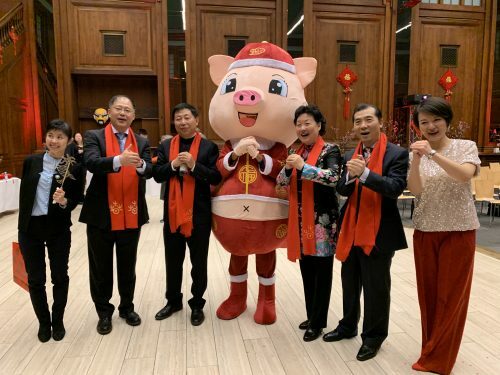 A lot of local celebrities attended this event. 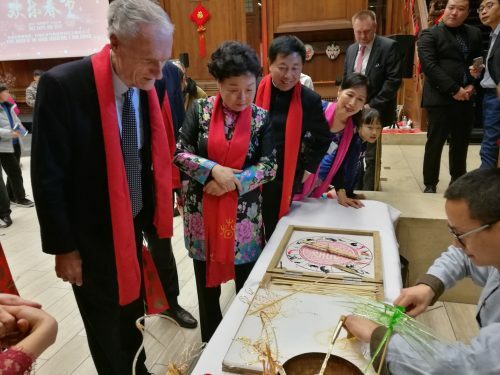 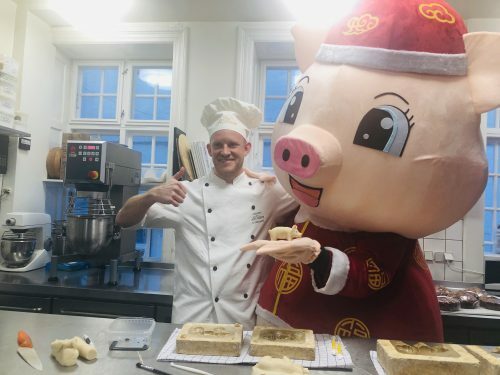 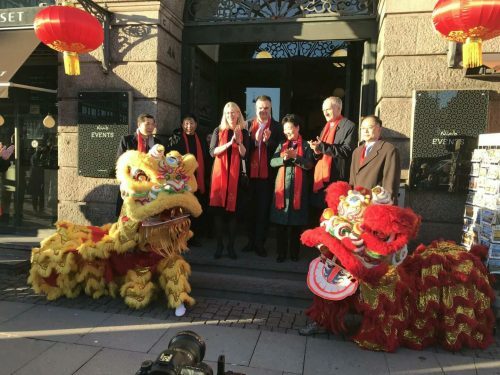 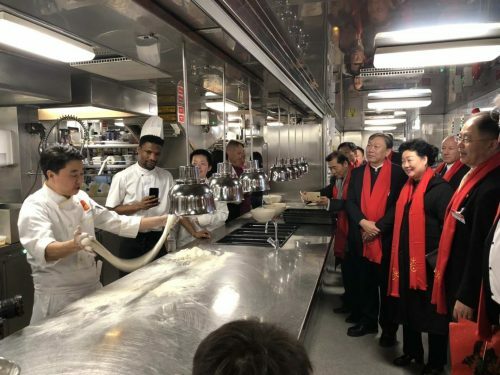 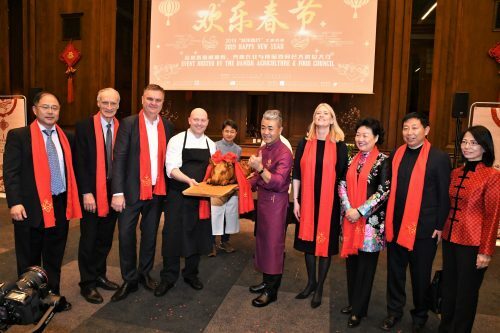 On 18th of January, the second “Happy Chinese New Year 2019” series event was co-organized by China Cultural Center in Copenhagen and the Danish Agriculture & Food Council in L&F building. 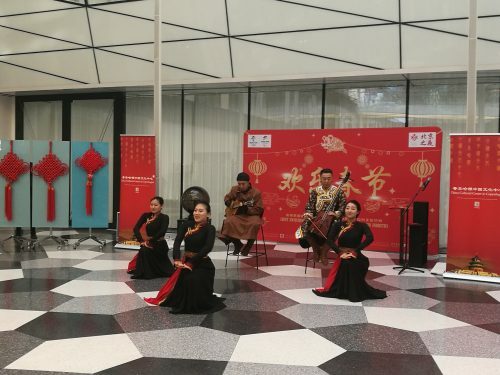 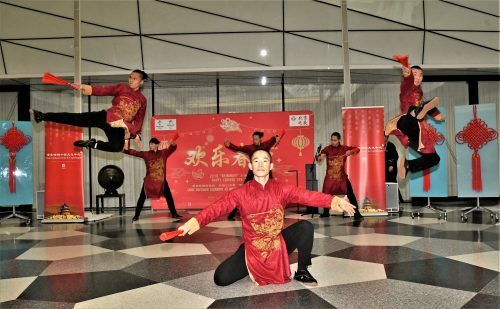 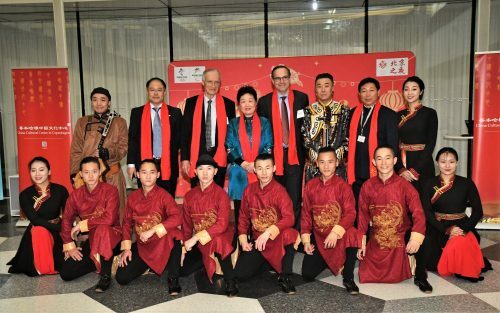 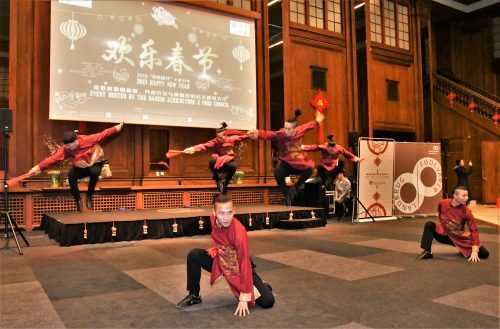 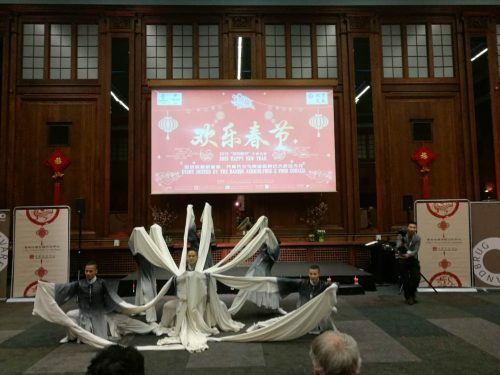 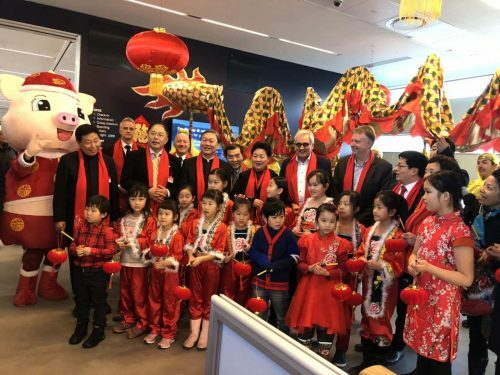 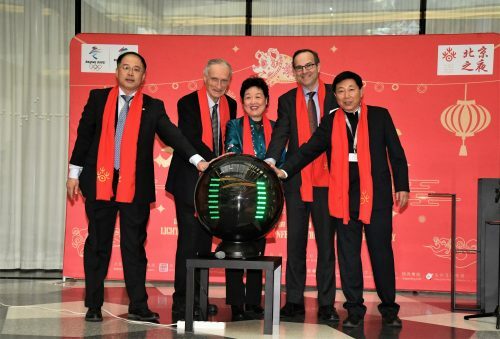 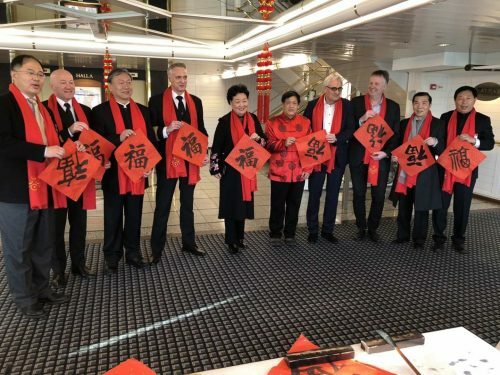 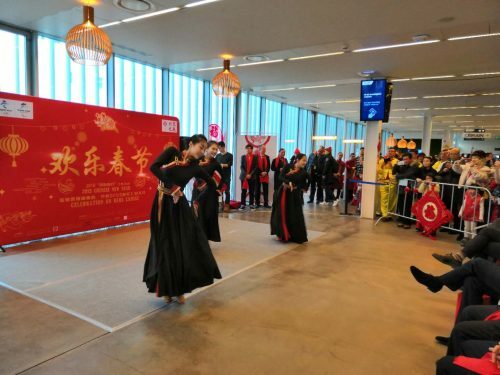 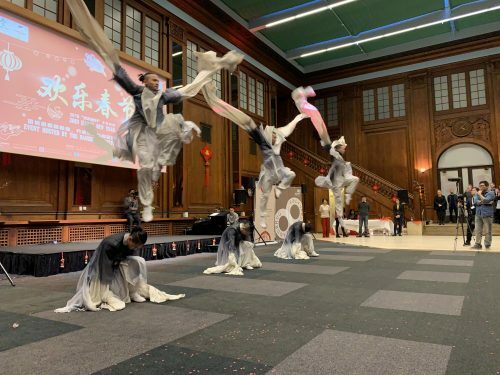 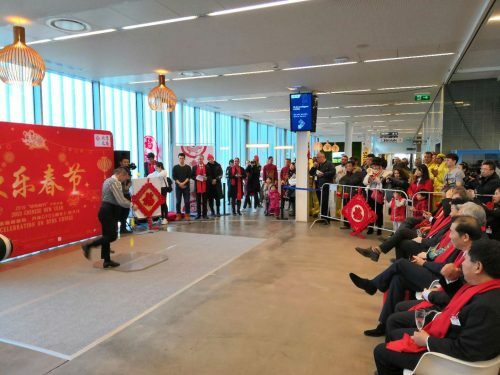 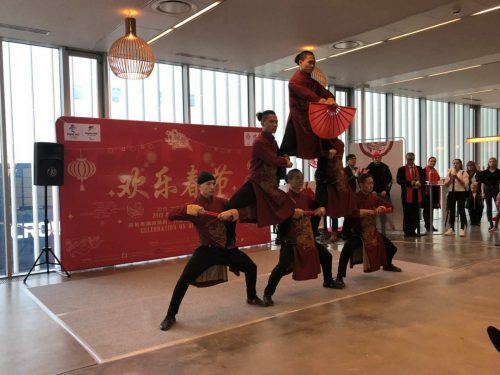 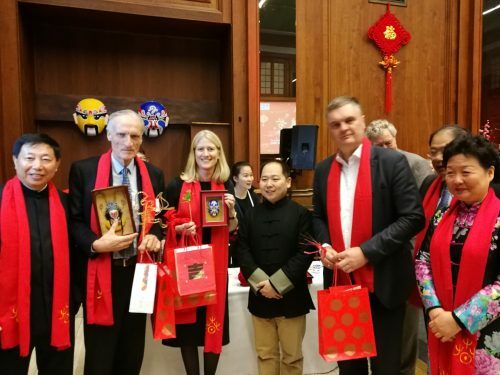 On 20th of January, the third “Happy Chinese New Year 2019” series event was co-presented by China Cultural Center in Copenhagen and DFDS company. 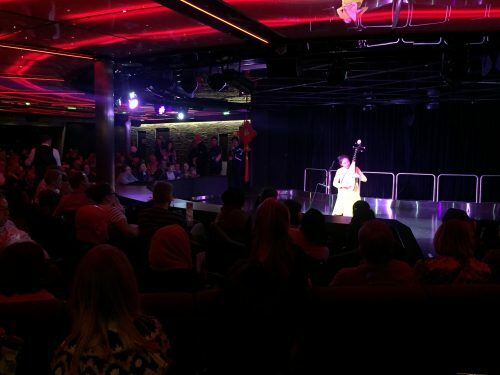 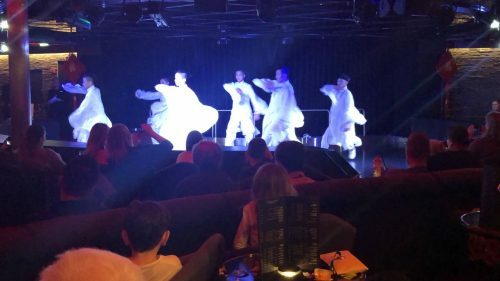 From 20th of January to 22nd, the series event was also held on DFDS cruise. 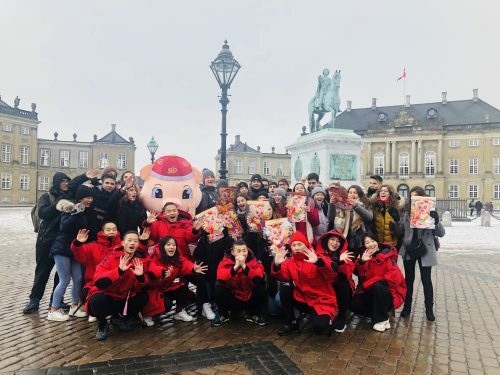 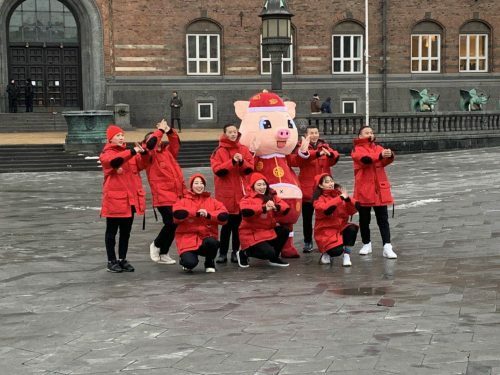 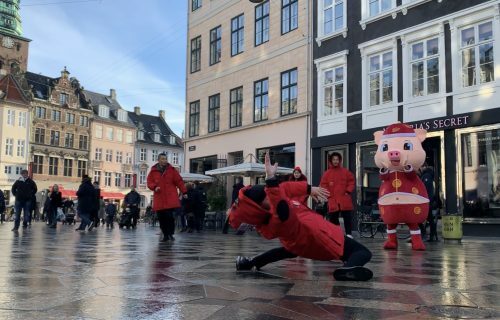 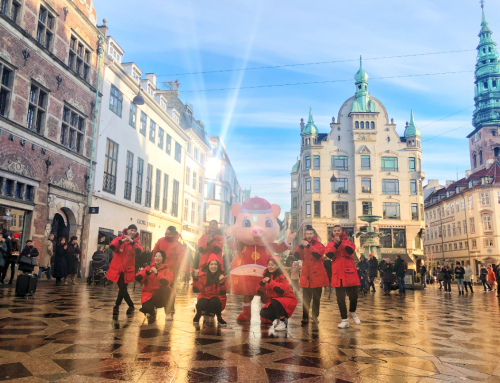 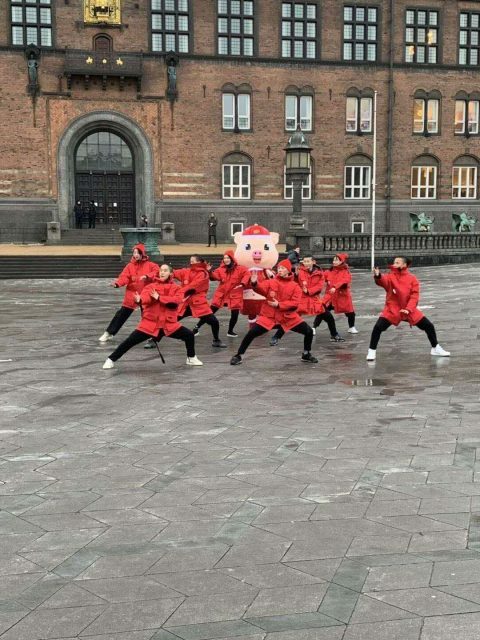 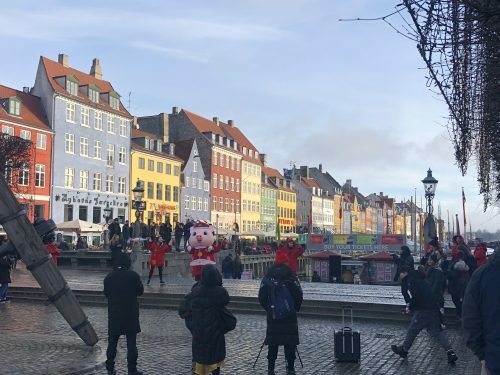 From 18th January to 22nd January, “Happy Chinese New Year 2019” series event – flash mob appeared in the streets and squares in Copenhagen. 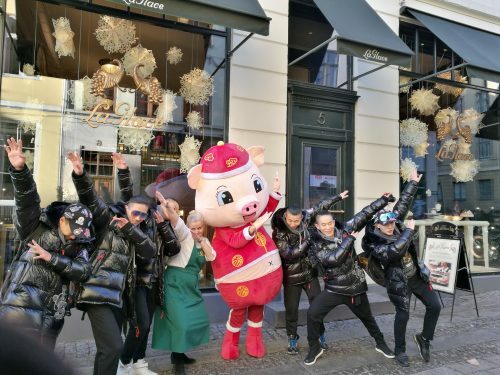 The “Happy Chinese New Year” mascot also went to “La Glace” to learn to make a lovely pig cake.